[quote]I plan on making this build my dirt toy/ daily driver. Some of you might know the car I am building. 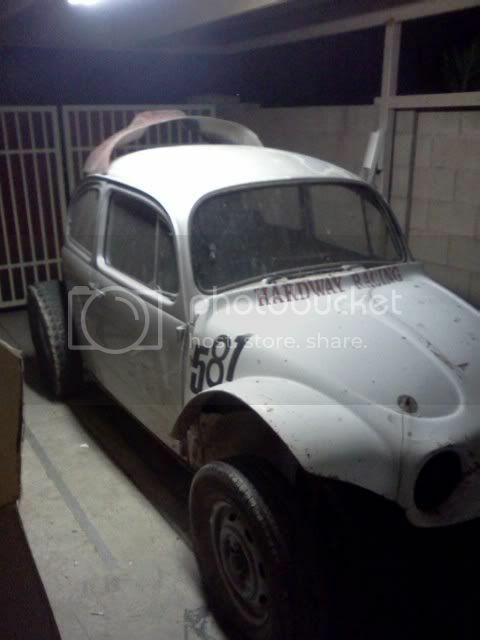 it is the 68 bugzilla was selling about a month back. 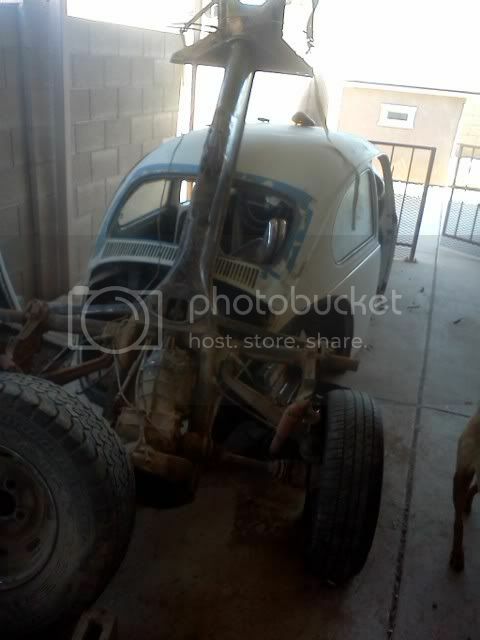 I also picked up a 69 rust bucket to use as a parts car. I plan on putting the irs trans in the 68. So this brings me to my first question. which would be a better way to make it an irs. Option 1: cut the pans out of the 68 and weld them on the irs frame. 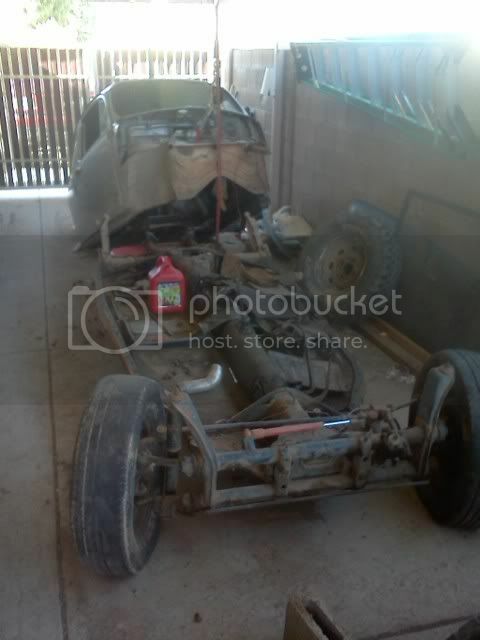 or Option 2 cut out the irs rear section of the 69 and weld on to the back of the 68 pan? I have asked myself this question several times over the last month. Now its time figure it out and build the thing. I thought so. This is Joe. This is what it looked like when I got it home. has swing trans and is 4 colors. I like those bugeye one piece front clips. Haven't seen one for an age. I see it came off a 5-1600 race car. If the floor panels of the 68 pan are decent, I might suggest welding pivot brackets into the 68 pan. update got the irs frame cut up and ready for the other pans. Plan for sunday is to transfer the pans over. 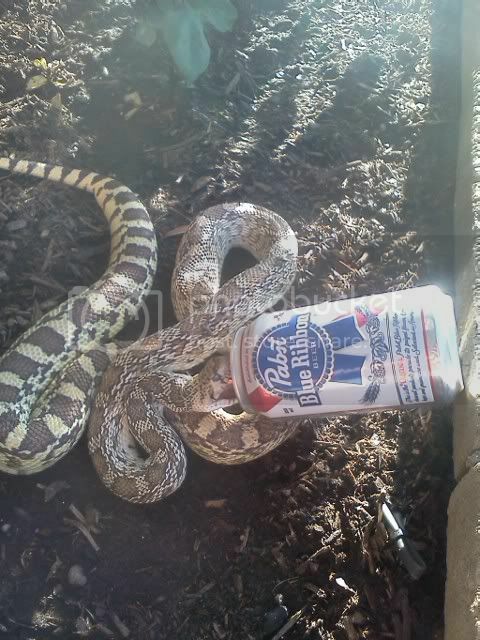 I thought I found good help today but he just sat there drank all my beer and smoked all my cigs. 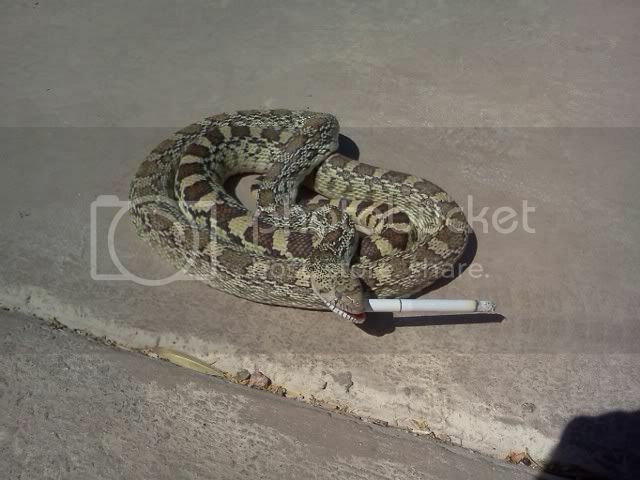 Could be some good help that there gopher snake. Lucky he isn't the fat cheek sort. Lots of shops have a go-fer around. Most don't have a go-fer snake though. I you think he's loafing a lot and makes a buzzing noise when you tell him to get out of the way or "hand me that wrench", then he probably got his cousin rattler filling in for him. He is just nothing more than a belly crawling low life snake in the grass. Got the floor pans fixed and ready for paint. Went and got all the paint for the car. I hope this weekend I can get the pan sprayed. She sees a junk yard. I see a parts yard.